International music star Michael Bublé wowed crowds as the new National Indoor Arena opened following a £26 million redevelopment . The redevelopment work, which has been key to landing the World Indoor Athletics for the city in 2018, has added nearly 6,000 square metres of space – and some sky needles – to the city. 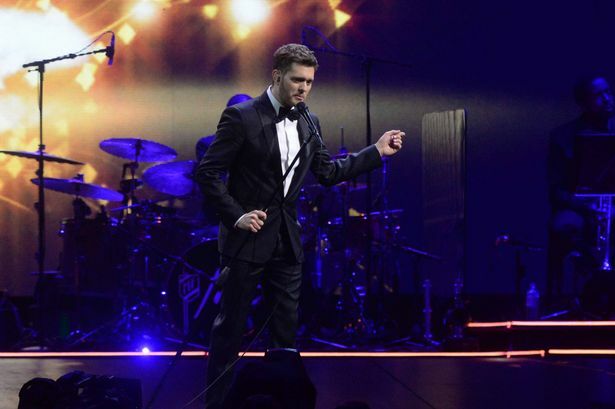 Canadian star Michael Bublé opened the Arena with a sell-out performance in front of a crowd of almost 14,000 fans at the opening of the arena, renamed the Barclaycard Arena , on December 2. The most dramatic element of the refurbishment is a brand new glass façade overlooking the Brindleyplace canalside development, which includes an LCD wall and copper fins. Four restaurants will also be added to the canalside in an attempt to improve footfall to the venue. Phil Mead, managing director of NEC Group Arenas’ business, said: “The launch of the Barclaycard Arena is a momentous occasion for the arena, the city of Birmingham and the wider area. The redevelopment has ensured that the venue continues to be world class and provide an ultimate live event experience for visitors.